Be a part of the global stage for innovation in military communications at the reimagined and reengineered MILCOM to be held October 29 – 31, 2018 in Los Angeles, CA. 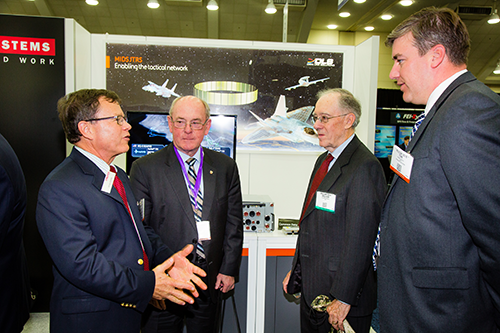 Exhibiting and sponsoring gives industry the opportunity to promote communications technologies and services to attendees from all branches of the armed forces, Department of Defense, federal government, and the heads of multi-national forces from around the globe. Turn-key exhibit solutions - making it easier than ever to participate and focus on what matters - developing business opportunities. Networking opportunities - built around matching requirements and solutions, MILCOM will host networking opportunities throughout the week, whether in the exhibit hall, sessions or evening events. Location - located in Southern California, just a few miles from the Military Satellite Communications Systems Directorate, Los Angeles Air Force Base, the Jet Propulsion Laboratory-California Institute of Technology, NASA's Armstrong Flight Research Center and the heart of the aerospace and defense industry. Facility - one location, one floor, bringing everyone together for focused discussions and network. Who will you see at MILCOM? Over 550 active military and government personnel and 758 industry and academia professionals attended in 2017. Covered topics included the spectrum of command, control, communications, computers, intelligence, and surveillance and reconnaissance (C4ISR) technologies and capabilities that address 21st century communications challenges related to national defense, homeland security, disaster response and interoperability. 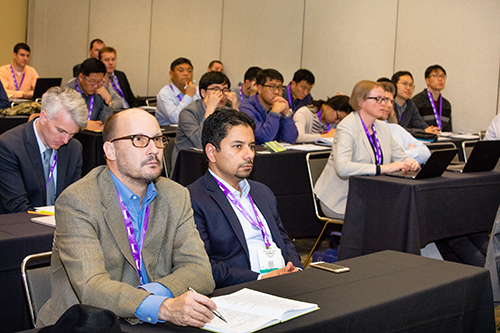 Government professionals who specify the current needs and use your systems, platforms, technologies and networks will be in the exhibit hall with you, networking, participating with displays, demos, and presentations. 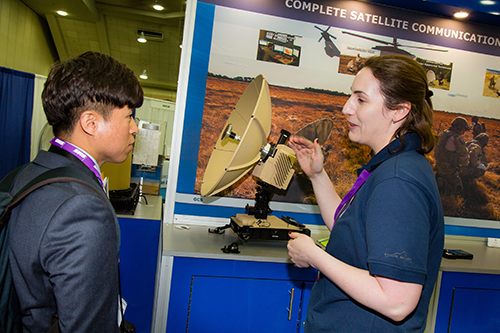 Be a part of North America’s largest military communications event, attracting professionals from 44 countries!